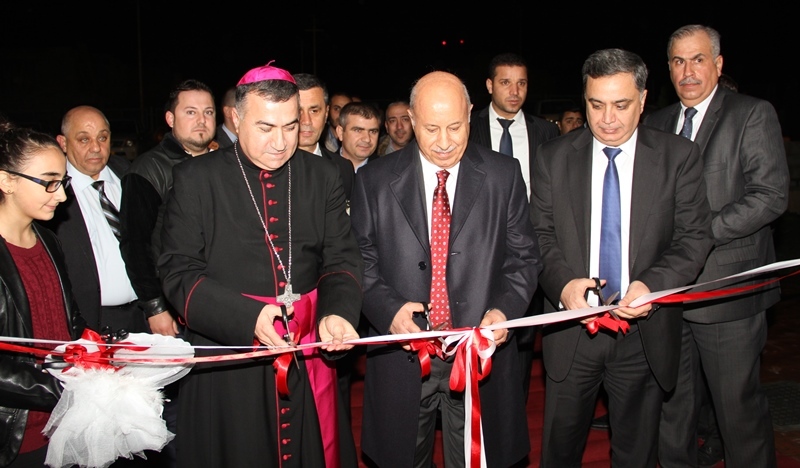 Erbil, Kurdistan Region – on December 9, 2015 the Catholic University in Erbil has been officially opened. At the time when Christians in Baghdad and in the Middle East are persecuted, Kurdistan Region proves one more time that it is a safe place for them. A place where Christians can have all political and civil rights and develop their educational, cultural and economic initiatives. The opening ceremony of the university was attended by government officials, representatives of Vatican City State, the Council of the bishops of Italy, clerics form Kurdistan and archbishop Bashar Warda – a great patron of this initiative. Yousif Goran, the minister of Higher Education and Scientific Affairs of Kurdistan Regional Government, said that “by opening this university in Kurdistan, there will be 15 private universities”. Minister stated that this University in Erbil is a prove of high level of tolerance and openness in Kurdistan, which is a model of peaceful coexistence between ethnic and religious groups in the Middle East. The Catholic University include also campus and Church. The foundation stone of the University in Erbil was laid in the fall of 2012, in Ankawa, a Christian town north of Erbil, on a three square km area provided by the Chaldean Church. The project was supported by the Italian Bishops’ Conference which gave € 2.3 million. The first activities of the Catholic University will start this Friday, December 11. The first courses offered at the university will be held in English in economics, computer science and Eastern languages ​​and literature. Plans are in the works for a faculty of law and international relations in a not too distant future. The university in Erbil has already been included to the World Union of Catholic Universities. The new Catholic educational facility in Erbil, not far from the refugee camps in Ankawa, “will be open to everyone,” said Bashar Warda, as well as refugees aged 18 to 40.